The CMS published its final snapshot of HealthCare.gov sign-ups on Thursday, showing that 8.4 million people selected or were automatically enrolled in a 2019 health plan during the open enrollment period that ended Dec. 15. Sign-ups fell about 3.8% from open enrollment for 2018 coverage, when more than 8.7 million people chose a plan during open enrollment. The final tally does not include people who signed up for health coverage in states that operate their own insurance exchanges. The CMS said it plans to release a report in March with that data. The CMS data shows that the 39 states using HealthCare.gov failed to attract new customers, which drove the decrease in enrollment. A little less than 2.1 million people who enrolled in a health plan were new customers who didn't have an exchange plan the year before—about 15.8% fewer than the 2018 total. Meanwhile, customers that previously enrolled through HealthCare.gov and came back to do so again for 2019 totaled 6.3 million, up 0.9% over the number of customers who renewed coverage in 2018. Larry Levitt, a senior vice president at the Kaiser Family Foundation who has tracked open enrollment over the years, said the big drop in new customers is "troubling." As people move in and out of the individual insurance market after gaining or losing job-based insurance, an influx of new customers is necessary to keep enrollment stable, he said. The drop in sign-ups was less drastic than some observers had anticipated. The zeroed-out individual mandate penalty, expanded access to association and short-term health plans, and gutted federal budget for ACA advertising and outreach were expected to dampen enrollment this year. At the same time, unemployment is down, more insurers are selling health plans on the exchanges this year and premiums for benchmark silver plan premiums decreased by about 1.5% on average after years of sharp increases—all factors which could positively affect enrollment. At the state-level, almost all HealthCare.gov states experienced a decrease in enrollment compared with 2018 sign-ups. Virginia experienced the largest drop at 18%. The state's decision to expand Medicaid starting in January 2019, extending coverage to 400,000 newly eligible residents, likely explains the drop in its exchange enrollment. People who enrolled in HealthCare.gov previously may have become eligible to enroll in Medicaid. Florida, Hawaii, Mississippi, Oklahoma, Utah and Wyoming experienced an increase in sign-ups. The final enrollment count is about 43,000 people below the CMS' preliminary enrollment total, released Dec. 19. 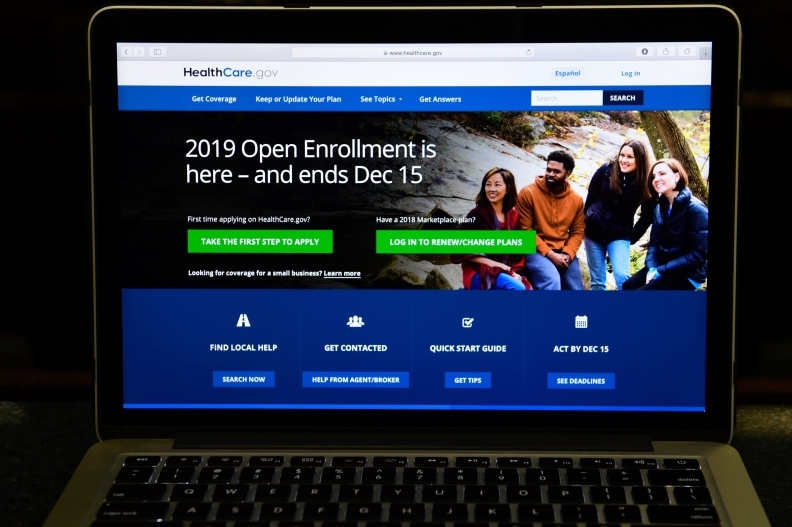 The final figure is lower because people who were automatically enrolled or who actively enrolled canceled their health plans before the deadline.